The design of our continuous bucket and pendulum bucket conveyors is based on decades of experience. Constant development and improvement of course goes without saying. Highly skilled employees are constantly researching the use of new materials and system designs. Rising demands from customers and legal framework conditions call for ongoing, detailed development. 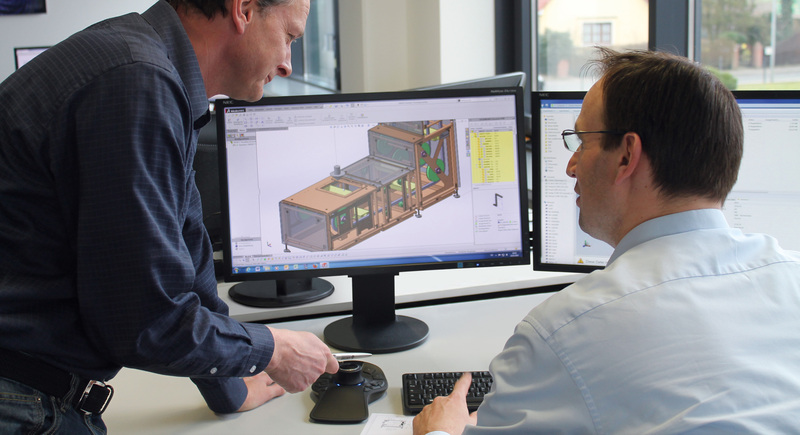 Every system runs through its own design process and our engineers keep a close eye both on technical feasibility and on the customer's requirements.